Child Labor is the serious crime all over the world. The UNICEF defines child labor as some type of work performed the children under the age of 18 years. There is a some thing wrong with our country which not only fails to educates all its children but also depends on them to keep its economy afloat. The country is heading back into the dark ages with only a few one receiving education. The number of child laborer in our country is about 12 million. According to statistics released by federal bureau of statistics last year 3.8 million children in the age group of five to fourteen years are working i our country out of a total of 40 million children 50% of these economically active children are in the average group age of 5 to 9 years. Even out of these 3.8 million children, 2.7 million were claimed to be working in the agricultural sector. About 2400000(73%) of them were said to be boys. The Law says that primary education is compulsory for every one, but we all know that actions speak louder than words. The government should supply free books to government schools and should make the level of government schools at par with that of private schools so that condition of equality is exists. 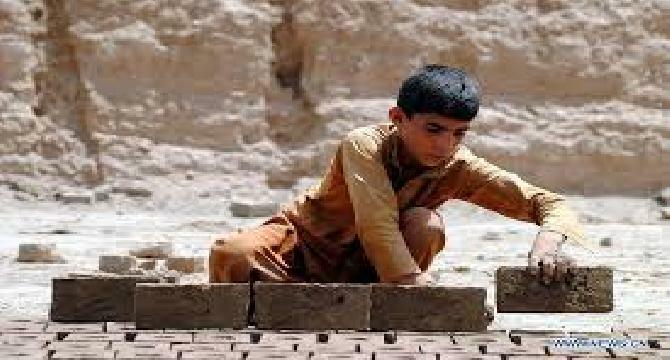 Murtaza Brother Child labor is very common now-a-days in Pakistan because of high rates of everything. The rates of everything are touching to the sky so that's why most poor people use their children as labor.. Advantages Of Child Labour: "CHILD IS THE FATHER OF THE MAN" . It symbolizes the need of children building a healthy nation and society. Childhood is the first stage after infancy .It is the formative period in men's life. for their minds are very soft, receptive and plastic at this tender age. Nice Work On One Of The Most Important Topics, Keep It Up Dear, Keep Writing Here. Dear usama you said that is the need of children so here i ask from you that education is necessary for child or laboring? the reality that is what i understand is to gave a smooth platform of study for children that they can make the bright future of pakistan. If they can do that type laboring than what is the future of our nation?